How to Get Tibet Visa from Nepal?? Kailash Mansarovar Tour is a popular Tour in Western Part of Tibet. Mount Kailash is the holiest mountain of the world for the Hinduism, Buddhism, and Jain religion. Mount Kailash is just perfect peak whose appearances is produced using either crystal, ruby, gold, or lapis lazuli. Not only this, Mount Kailash base is origin of the four important rivers of Indian sub-continent, the Indus, Sutlej, Karnali and Brahmaputra start. 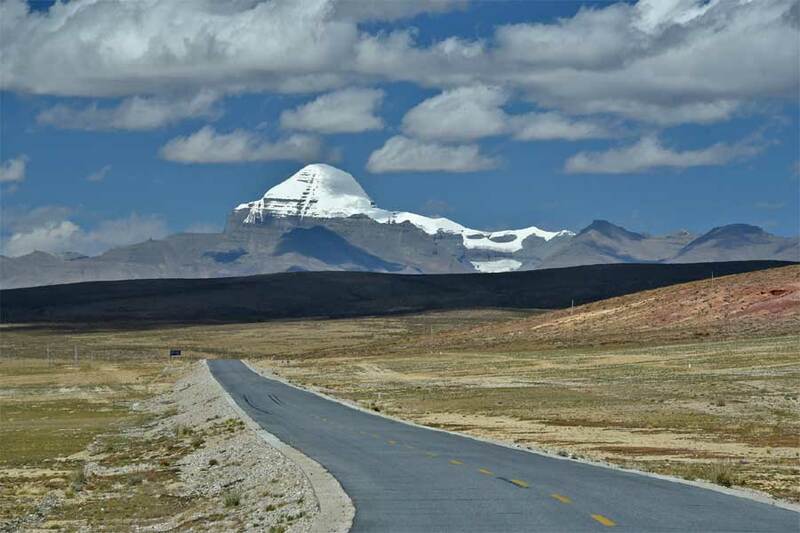 Mount Kailash able to draw the attention of the passionate travelers and pilgrims over several hundred years. People believe that If one do the one full Parikrama of the holy Mount Kailash (54 km/32 miles) erases sins that one has done in lifetime. Another interesting and must go attraction is the Mansarovar lake. The lake will blow your mind with the heavenly color and crystal clarity. Go for the Kailash Mansarovar Tour with Himalayan trekking!!!!! Day 1- Arrival in Kathmandu. Day 2- Sightseeing in Kathmandu. Day 03- Drive from Kathmandu to Kerung/ Kyirong. In the morning,will drive to Rasuwa Gadhi (newly opened border of Nepal and China). It’s a mountain drive passing through paddy fields, several villages and river. After Immigration and customs formalities on both sides (Nepal & China) drive to Kerung, small town of China. While in kerung will go for excursion around valley and explore the beautiful environment. Overnight at guest house in Kerung. Day 4- Drive from Kerung to Dongba. Day 5- Drive from Dongba to Mansarovar. Day 6- Drive from Mansarovar to Darchen. 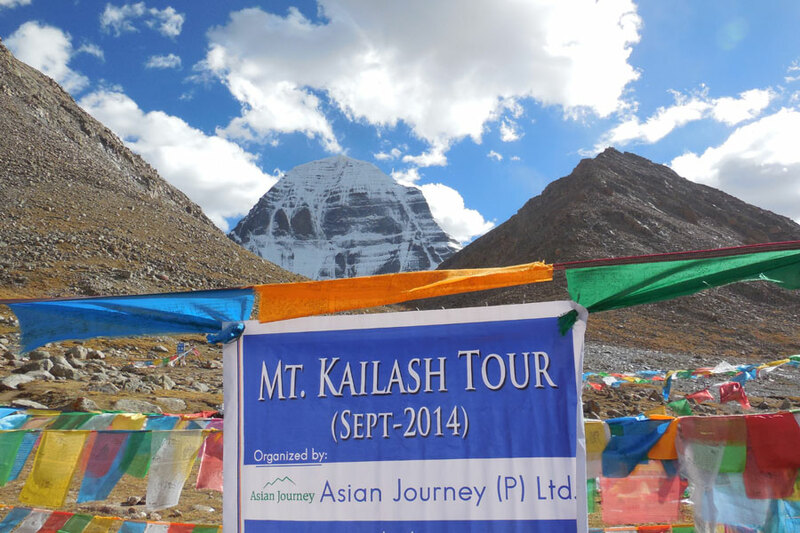 Today after lunch you commence your journey to Darchen, base camp of Mount Kailash. 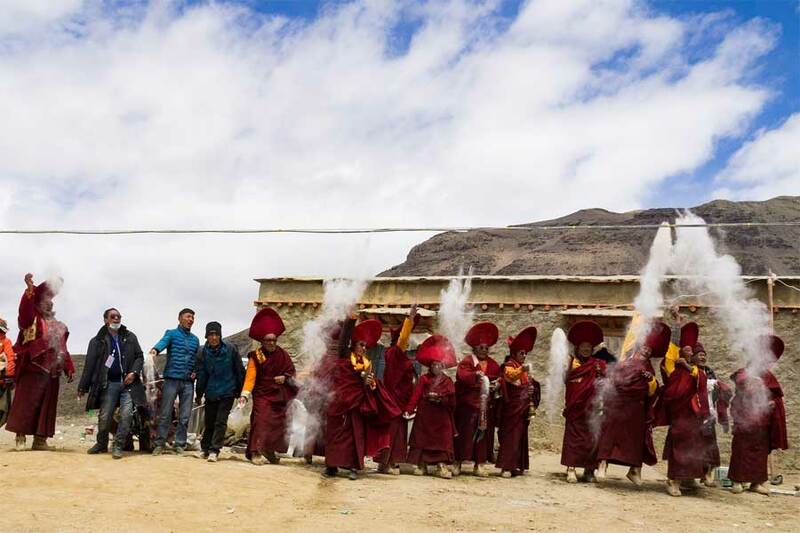 Till that time you can do Puja (Worship), Havana, Meditation and also go for short Hiking to Chu Gompa (Ancient Buddhist Monastery nearby Mansarovar Lake). After reach to Darchen your guide will assist you if you need horse and porters for your following 3 days trekking around Mt.Kailash. Overnight at guest house in Darchen. Day 7- Trek from Darchen to Dirapuk. 1st day of Parikarma. Day 8- Trek from Dirapuk to Zuthulpuk. 2nd day of Parikarma. Day 9- Trek from Zuthulpuk to Darchen. Final day of Parikarma. Day 10 Drive from Dongba to Kerung. Drive through same incoming road. Overnight at guest house in Kerung. Day 11 Drive from Kerung to Kathmandu. Day 12 Departure from Kathmandu. Our tour officer transfer you to the Kathmandu International Airport in time for your flight and help you to get on board for your onward destinations. You will be returning with lots of memories of Kailash Mansarovar Tour. Tips for staff and yatra/Tour crew. Kailash Tour Rescue transport encase needed if some one go back earlier than group. Extra cost incurred in case of Landslide or natural problem and bad weather. Nepal visa and Re-Entry Nepal visa. International Phone calls and media. Pony/Horse service during the kailash parikrama, extra personal porter and yaks ride if required. If you have any questions and inquiries, please don’t hesitate to contact us. Please please fill in the following inquiry form. We will send you our reply as soon as we receive your inquiries. Subscribe himalayantrekking.com to get latest offers! Himalayan Trekking updates deals & discount regularly, Subscribe our Newsletter Now ! HimalayanTrekking.com arranges affordable Himalayan Trekking, Himalayan Tours, Himalayan Adventure Tours since 2003. All our Himalayan Tours are Hand picked adventure packages by experts of industry. These packages are planned keeping in my customer preferences over the years. © Himalayan Trekking & Tours (P) Ltd.2003-2019, All Rights Reserved.